we have the solution for your moving project. Since 1995, Moving Equipment Sales, Inc. has provided the moving, storage, and furniture industries with quality moving equipment and excellent nationwide service. 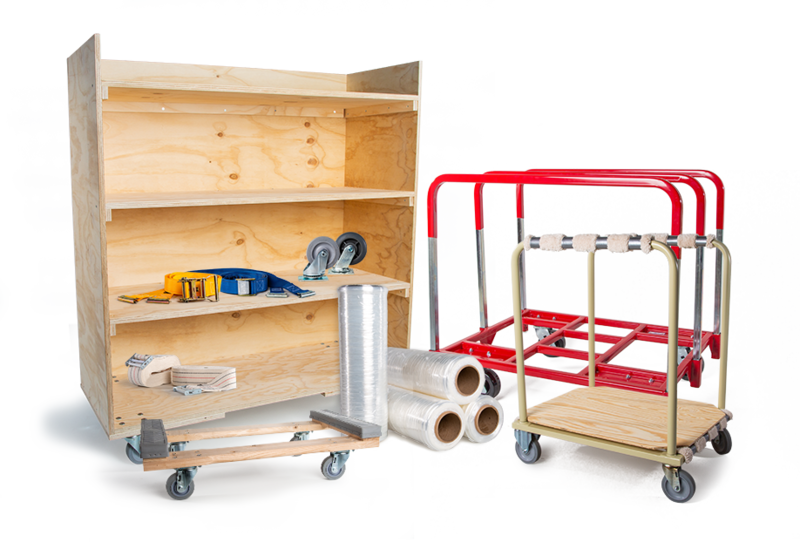 From cargo control and carts to dollies and protective packaging, we have what you need to get your project done on time. Our corporate office and warehouse are located in Bloomington, Minnesota, but don’t worry! We ship any order nationwide. Make your move with Moving Equipment Sales, nationwide. Call or order online today from your moving equipment supplier. Next-day orders can be picked up at our Bloomington, Minnesota warehouse, or we do ship nationwide. Contact MES for more information about our services for your location. Moving Equipment Sales, Inc. (MES) service organization is unequalled for customer service. Our representatives come from the moving and storage industry and are knowledgeable in determining the right equipment for your needs. Call MES by using the toll free number 1-800-637-6650 and we will process your order immediately! OR order online today! Moving Equipment Rental, Inc. (MER) can speed up any move, enhance organization and reduce overall cost. Check out our available products or find a location near you! BUY DIRECT FROM MOVING EQUIPMENT SALES, INC!